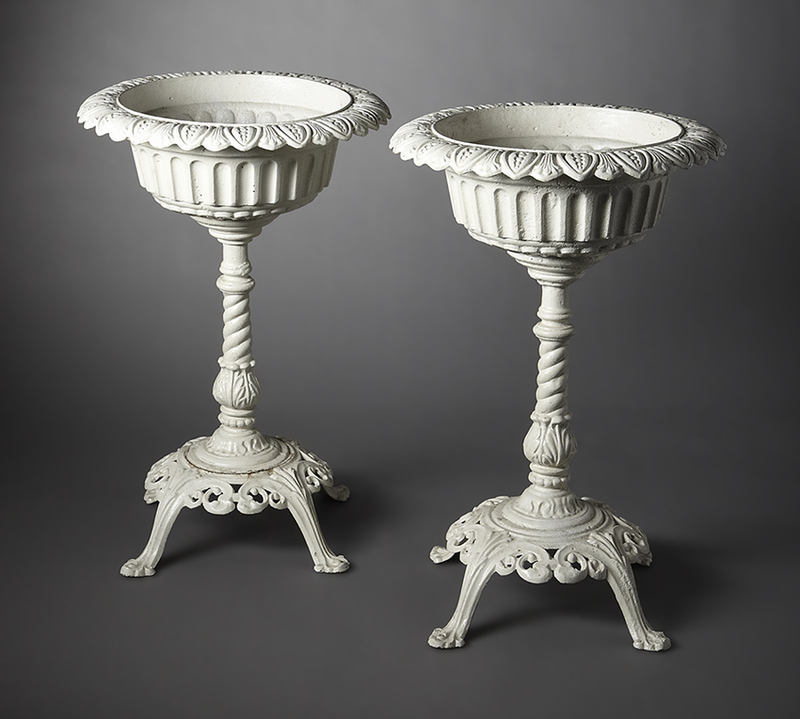 A good quality pair of American cast iron garden urns with unusual stem bases and open work bottoms. Could be used indoors or outside. A great Cast Iron Garden item.